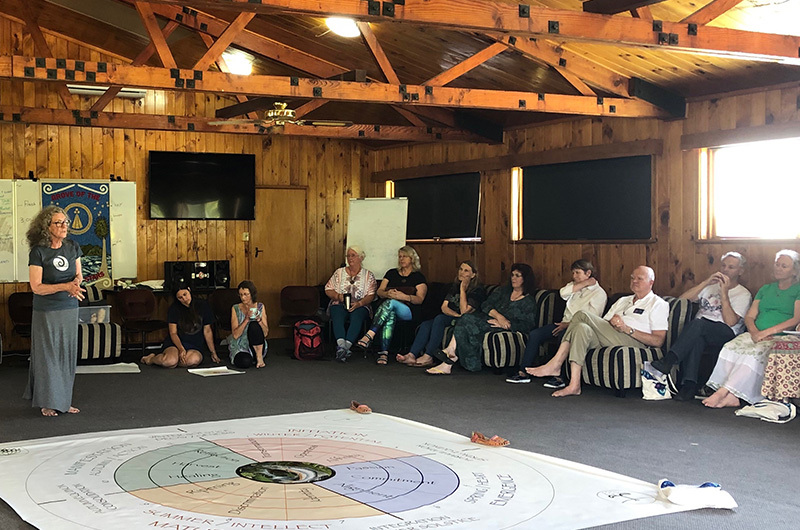 The Wheel of Segais is a simple but profound template for understanding the innate nature of the universe and our place within it. It is my own creation and came to me in a flash of inspiration (awen) supported by over twenty years of study in Druidry (Order of Bards, Ovates & Druids, UK), the Four Elements / Four Seasons (Dimension 33, Australia), the 12 Archetypes or Wisdoms, and many years as a Change Management and Career Consultant – “Get a Life – It’s Yours”. All that knowledge and wisdom came together in a beautiful, simple image that I now call The Wheel of Segais or, sometimes, The Wheel of Inevitability! 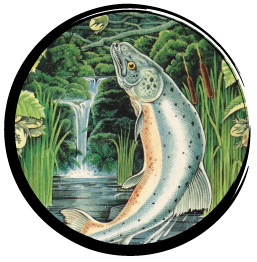 It allows us to perceive all that we are and all that we need as we experience the turning of the wheel of the year – the Four Seasons, the 12 streams or stages and the Well of Wisdom, the Well of Segais itself, in the centre. The Well of Segais is the Otherworld source of the Boyne that some say lies in the navel of the Goddess Bo-Ann. It is a deep pool, surrounded by the Nine Hazels of Inspiration. The Hazel nuts ripen and fall into the pool where they are eaten by the Salmon of Wisdom. It is said that one may never be wise until one has drunk from the Well of Segais. Even the seasons form a great circle in their changing, and always come back again to where they were. The life of man is a circle from childhood to childhood and so it is in everything where power moves. Our teepees were round like the nest of birds, and these were always set in a circle, the nation’s hoop. A big thank you to all of you for your patience while we did our second production run for the Wheel of Segais Personal Reader Kit. The reprinting took somewhat longer than we had anticipated but the good news is (trumpet sounds) . . . The Wheel of Segais Personal Reader Kit is now available again! The printing has been checked, the fabric Wheels, hazelnuts and pens tested, the boxes packed and we are all ready to receive your orders once again. If you would like to know more about this exciting divination tool, you might like to book an online reading here. This video contains an extract from the first of what became a series of classes about how The Wheel of Segais can be used to plot the paths and cycles of your dreams, your projects, your relationships and your life through the four seasonal stages of Initiation, Emergence, Maturation and Manifestation and the 12 streams that inform them. And if you would like to learn a little more about how this seasonal metaphor and ‘thinking like a tree’ can be used to understand the cycle of all things, be it a project, an intention, a goal, a life purpose, a relationship, a business, etc. you might like to take a look at this live video I did for ‘Tea with a Druid’ a couple of weeks ago which I call, ‘Living Treefully’. It includes a short meditation that you might enjoy. Click here to view. If you are interested in taking the Wheel of Segais online Reader Training you will need to purchase a Personal Reader Kit. If you already have a Personal Reader Kit then you can purchase the Reader Training course straight away and start your Reader journey. The Wheel of Segais as a divination tool. 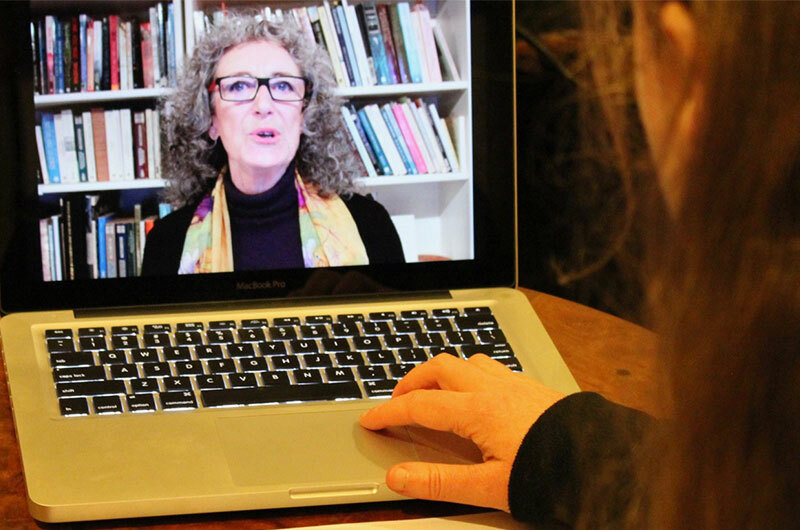 Learn more about the Personal Reader Kit, purchase a Kit, or book a reading online or in person. 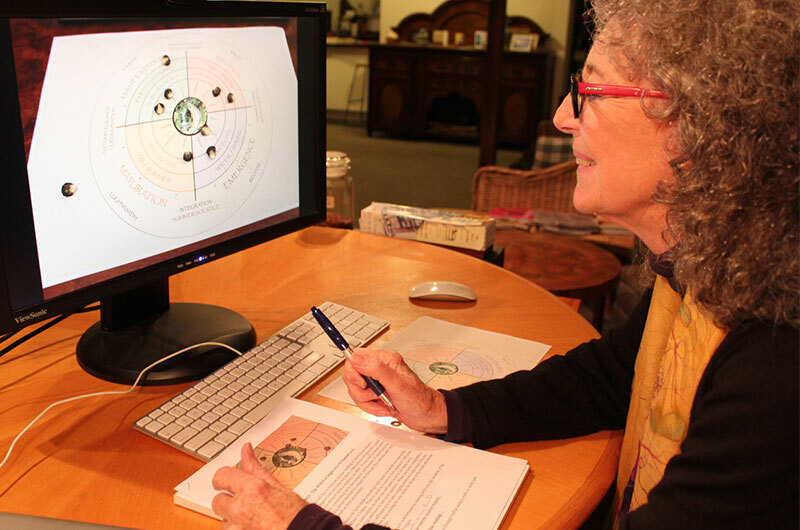 The Wheel of Segais is a 7-part training programme to become a Reader of the Wheel for others. 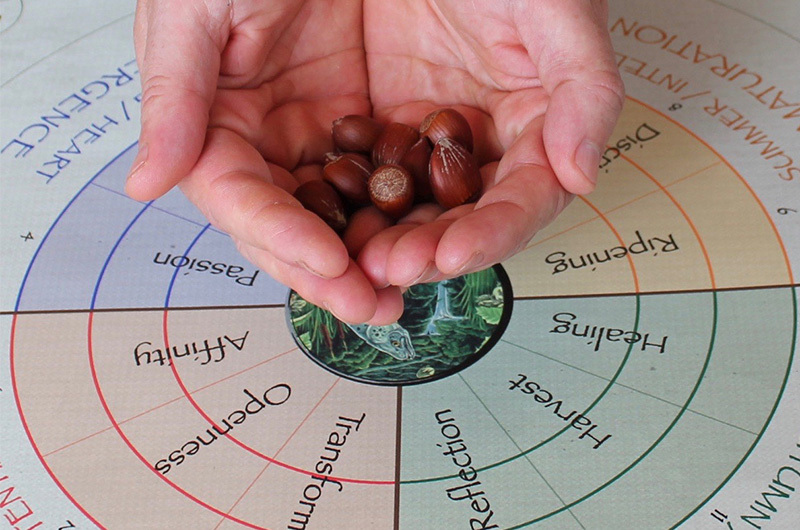 The Wheel of Segais as a powerful career and business coaching tool. Book a session online or in person. Sign up for updates and more information.